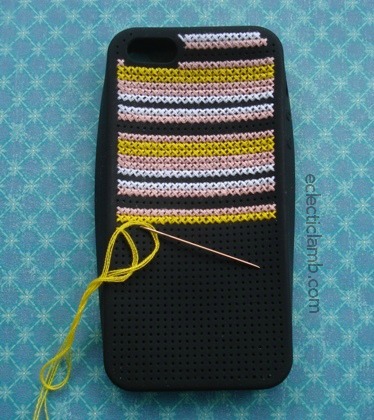 For several years I have wanted to cross stitch a cell phone case. 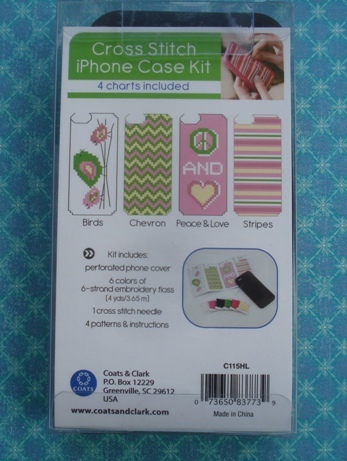 But I did not have a popular smart phone model and it was difficult to get the right type of case. I could not even find a clear case to fit my phone. Now that I have an iPhone 5 it is easy to get a case that fits. I found this kit at Hobby Lobby and had to get it. I know that this style will get dirty quick but I do not care if I only have it for a short time. 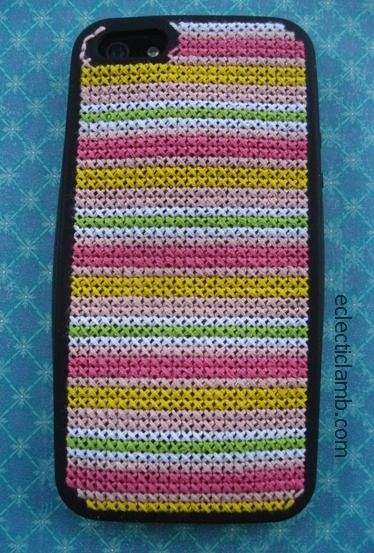 I normally do not enjoy counted cross stitch but it was so much fun to stitch through the silicone case. I found it relaxing to stitch but it took a lot longer to complete than I expected. 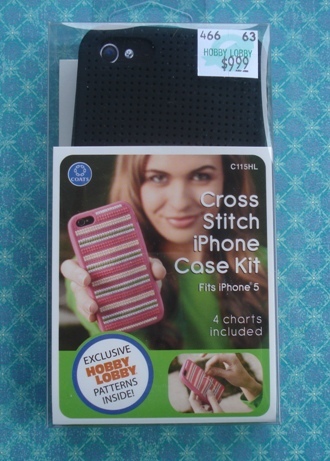 When this case gets too dirty I can remove the stitches and stitch something else or get a clear case and maybe embroider something to put in the case. I love an excuse to stitch something new. There are lots of kits available. Just Google to see if a kit is available for your phone. Below are some patterns that I may adapt in the future. The Purl Bee has some cute patterns. Dream a Little Bigger created a pattern that she shared. She also provides a blank pattern if you want to create your own. This entry was posted in Crafts, Embroidery and tagged DIY. Bookmark the permalink. this is lovely. congratulations on the new phone.